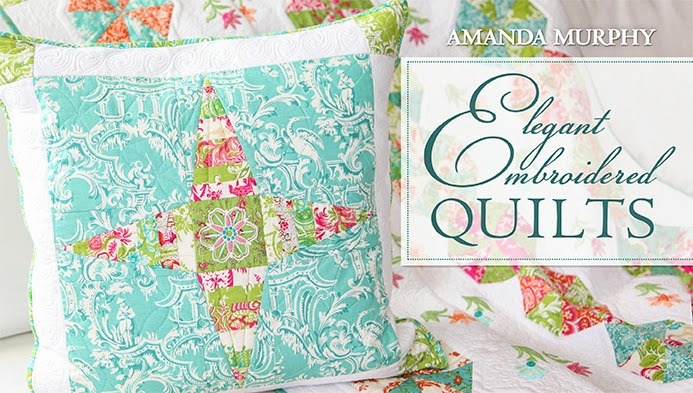 I'm so excited to announce that my Elegant Embroidered Quilts class is live on Craftsy! The winner of the free class is Gill, who liked #2. 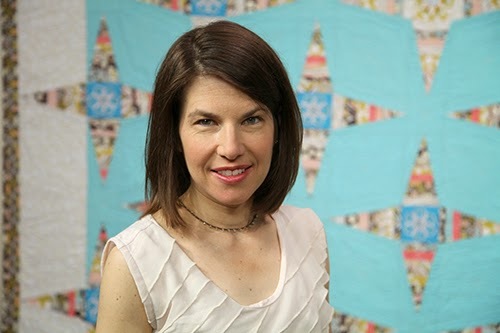 Thanks so much to Craftsy for hosting me and helping me develop this class. I'd like to also thank Cherry Guidry of Cherry Blossoms Quilting Studio for the quilting you see above and Jen Reeve of Honu Quilting for the quilting of the Dresden quilt you got a glimpse of in my earlier post, and Brewer Sewing and OESD for letting me experiment with all of their different stabilizers. And of course Blend Fabrics and Anna Griffin for all the wonderful prints and Robert Kaufman for the Kona cotton that set them off so well. 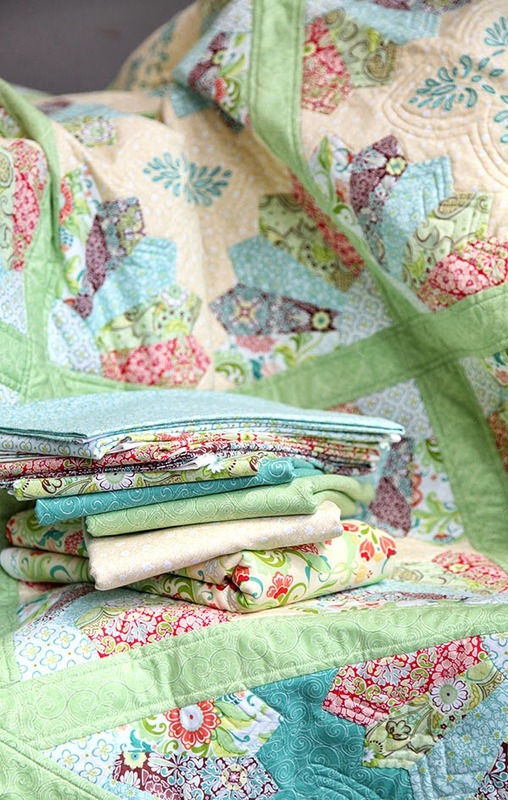 Have a great week and happy quilting! Which "sneak peek" do you like best? Leave me a comment on this post and I'll pick a winner randomly on Wednesday and they will get a free class! I can't wait to show you more. Complimentary Holiday Bouquet Table Runner pattern! Guess what is in the new complementary issue of Through the Needle? 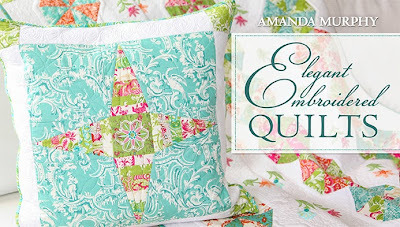 My Holiday Table Runner featuring my Holiday Bouquet line for Blend Fabrics. It is really simple to piece and really fun to quilt. I fussy cut the ornaments using my ornament print from the line, but you could also make your own as a template is included in the pattern. 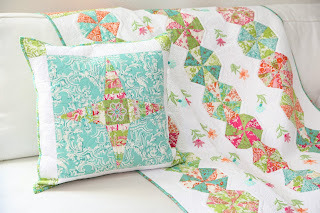 I embellished the piecing with embroidery stitches on the Bernina 780 using Aurifil thread. The stippled in the background of the central panel to make the flower motifs pop! 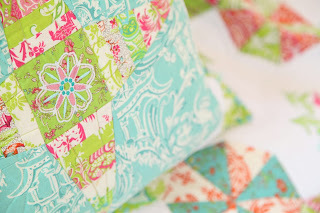 For the quilting used an Aurifil 50 wt. white cotton in the white areas and So Fine in muted green and red in the colored areas. One note: There is a small mistake in the pattern as printed. It is pretty obvious, but just so you have it here it is... You need to cut 4 (1-1/2'' x WOF) strips of the ladder rail fabric rather than 4 (1/2'' x WOF strips) to yield 4 (1-1/2'' x 30-1/2'') rectangles. You can download the pattern here. If you sew up something fun please send pictures!